In the restricted circle of friends and relatives that our family is exposed to, it is common knowledge that since the past four years we have been assiduously chronicling the events and occurrences in the family. These chronicles have taken the shape of movies which are more in the nature of a collage of videos and still photos, backed by appropriate musical scores from diverse sources. The intention of making these movies is surely not to advertise the family or its mundane achievements in life. The basic idea is to share the major events in the family with the extended family members who are spread across diverse geographical locations, as also to preserve the family history for posterity. If the history buffs in our future generations preserve these, our family background would always be just a click away. What have been the enabling factors for the development of these movies? Let me attempt to list a few. One, a healthy dose of movies celebrating the middle class values like caring, sharing, mutual trust and a respect for one´s elders. Two, happy moments and events which leave one´s emotional core stirred and shaken. Three, a fondness for good music, backed by soulful lyrics. Four, a hobby of preserving the family archives, whether in the form of old photos, diaries left behind by our forefathers, and the like. Five, creative juices sloshing about inside one in gay abundance at times, not allowing one to rest till the time a meaningful external expression is found. What could be challenging about arranging some dumb photos in a sequence and backing them up with a few songs, you may well ask. Well, to present something new and unique to my audience every time is one. Also, one has to keep one´s self-promotional tendencies in check – so, no hapless visitor to our house shall ever be strapped to a couch and forced to watch one of these movies! Moreover, narcissism is not considered a virtue; so, each movie´s theme encompasses snippets of even those unsuspecting friends and relatives who are not necessarily a part of the main narrative. The year 2007 saw our daughter getting married. Gradually, an idea took shape – to make a movie which would not only cover the various ceremonies that took place in connection with the marriage, but would also capture the childhood days and upbringing of both the bride and the bridegroom. Once old photos had been collected, search began for a studio which could transform the concept into reality. However, tradition-bound studios were not too keen to experiment with their own formats. With the help of a friend, we could identify a suitable software. Work started at home with a humble second-hand laptop. Backed by quotations from Shri Aurobindo´s Savitri, the dvd took about eight months to get composed. Goodwill messages from all those who could not attend the event also got covered. Titled `Shruti Vinod`, the movie was 125 minutes long. Reactions from viewers were encouraging, to say the least. Come 2008, and our son got married. Our daughter-in-law, Garima, joined the family. Motivated by the first experiment, the canvas of the second movie got wider. Appropriate cartoon sequences were added up, juxtaposed with audio clips of the bride and the groom. Few other special effects also brightened up the proceedings. The end result of this labor of love was a 250 minutes long movie. For the benefit of those in a hurry, a smaller version of 130 minutes was also prepared. This one was titled `Hamari Bahu Garima`. In 2009, our daughter had a toddler of her own. Aptly named Suman, the blossoming of this flower in the family garden at Asker in Norway was greeted with unbridled enthusiasm. A dvd running into about 35 minutes came up first. During 2010, a dvd named `Dhoom Macha Le` was completed and released. An interesting feature of this 100 minute long movie was a special chapter on Suman´s future career aspirations, with examples drawn from a long list of celebrity female achievers. Both were followed up with another dvd which captured the second year of her life. This covered the get together of all the children and their families. Both the couples danced to their heart´s content, with Suman witnessing the God Bharai function of Garima. Lovingly done, this one hour-long dvd captured the birth of Shalini, our son´s daughter, in March 2010. It ended up showing the new-born entering her house in Basel, Switzerland, for the first time. As I write this in July 2012, two more movies have got added to the family portfolio. In February, we could add `1962: A Love Story’. It is about 55 minutes long and covers the life and times of my eldest co-brother who completed 50 years of married life on the 8th of March this year. In this work, it was challenging to capture the trauma of partition of India in 1947, faced by the families then. June 2012 brought about the completion of yet another movie, `Shalini – the beautiful`. Based on the first two years of our son´s daughter, this runs into 108 minutes. A special feature here is the coverage of diverse aspects of Shalini´s personality, as we have seen it evolving over time so far. The thematic peg used for this purpose is the `NAVARAS` concept espoused centuries back by Bharat Muni in his famous treatise on the fine arts, `Natya Shastra`. Overall, cultivating this hobby has been a very fulfilling and enriching experience. The effort is highly labor intensive, what with a scheme to be followed for all inputs to be neatly arranged. Exhausting and challenging, yet exhilarating and liberating in more ways than one. Possibly, this is what Maslow meant when he spoke of self-actualization. All the family members have contributed immensely to all these ventures. However, the lion´s share of the credit goes to the creative minds from Bollywood as well as Hollywood. One has drawn liberally from the works of such creative geniuses as Gulzar, Basu Chatterji, Hrishikesh Mukherji, Yash Chopra, David Lean and the like. Movies from the Rajshri stable find a place of pride in our scheme of things. And, of course, renowned music directors whose immortal works have regaled all of us all these years have unknowingly enriched our family archives beyond compare. One is grateful for all the grace one has received in different aspects of one´s life, including for the baby steps taken so far in capturing family events through the medium of movie making. Make the hiring process as comprehensive as you possibly can. 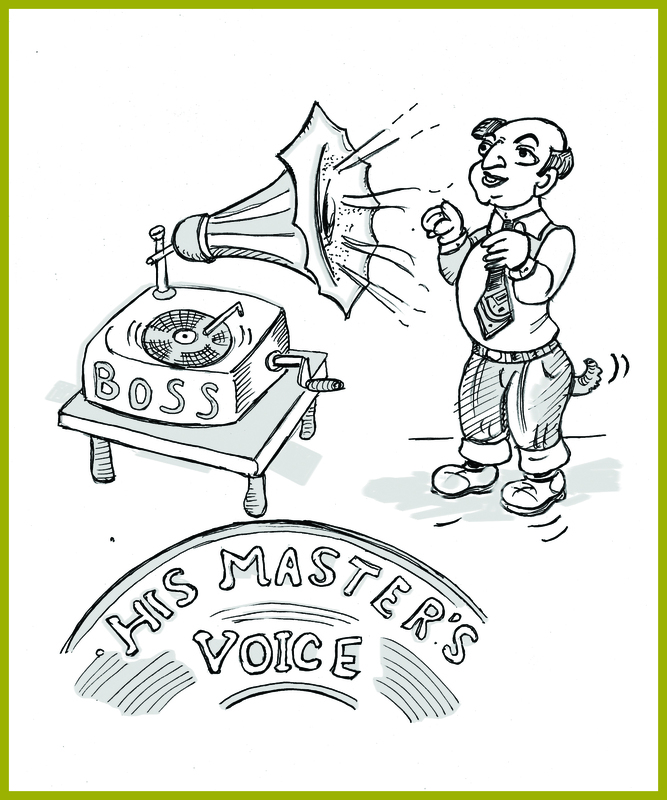 A person hired wrongly could prove to be the proverbial millstone around your neck. Firing is unpleasant but necessary at times, especially when a surgical intervention is necessary. A good manager would not shy away from removing the deadwood from his team, thereby motivating the good people in his team even better. However, if you keep firing at regular intervals, some introspection might help. Ask yourself if you hired a wrong guy in the first place, or put someone in the wrong slot, or, worse still, if your expectations from the guy were out of sync with his innate capabilities. It makes sense to follow the golden rule, ‘the boss is always right’ even when he is absolutely wrong and is a perfect fool. However, sycophancy has its long-term limitations. Once in a while, if you do not agree with the boss, find the courage and the right time to register your disagreement. This way, you end up becoming a more effective and a healthier manager. Beware of juniors who are “yes men”. They could be pretty dangerous to your career progression in the long run. Managements and governing bodies world over are putting the social media to good use, announcing policies and eliciting feedback from diverse stakeholders. HR honchos now have a twin challenge facing them – bringing in policies which are transparent, flexible and agile, and also ensuring compliance with appropriate guidelines on usage of social networking sites by employees during work hours. Smart executives ensure that no traces of corporate resentments – if any they harbor – are left in behind in the virtual world! Always keep intangibles in mind when rewarding people publically. Honoring a special achiever? Invite his/her spouse over to the occasion and see the difference it makes.